Are you about to send your rear shock in for some work at Sprung? Here’s a quick guide on how to post your shock to Sprung Suspension Workshop. 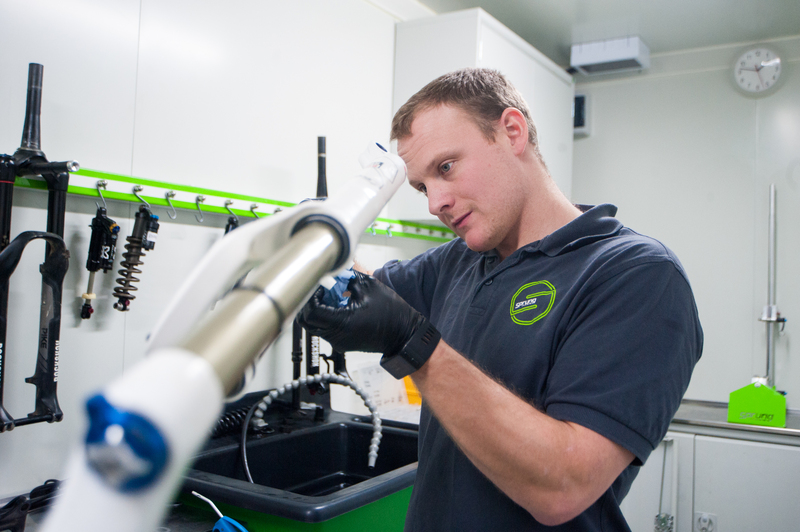 We work on hundreds of suspension units and seat posts every week – we can cope with kit that’s in any condition but the cleaner and the more ready to go your parts are, the quicker they’ll get back to you. Here’s a step-by-step guide on how to get your shock off your bike and in the post in a way that’ll get it back to you in the quickest possible time! 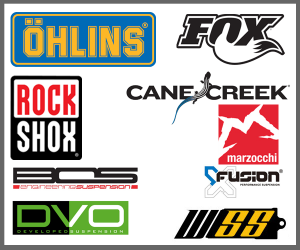 Before you do anything, you’ll need to book your shock in with Sprung Suspension Worshop here. When you’ve filled out the form, please print a copy of your confirmation email or write your name and booking number on a piece of paper to go in with your order. If you’ve got one, put your bike in a workstand and keep it up off the ground.If not, try the zip tie trick from the video above or turn your bike upside down. Undo the bolts at either end of your shock and carefully pull the shock out of your frame. 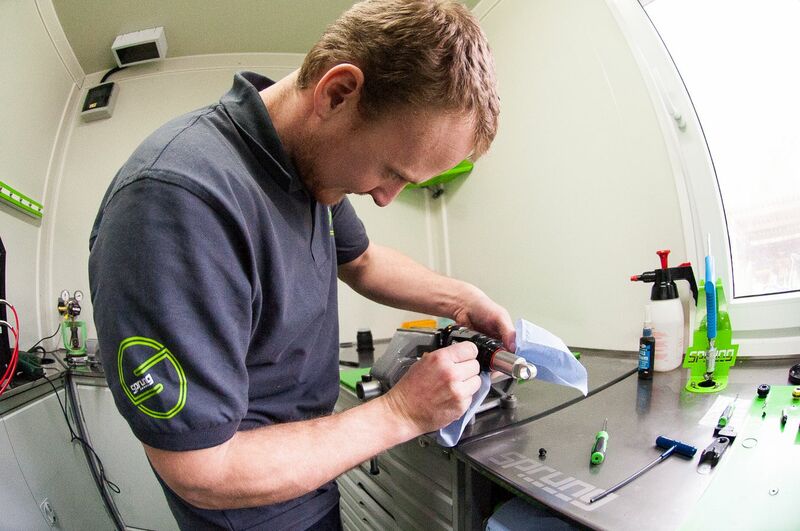 If your bolts don’t easily turn, your shock doesn’t easily push out of your frame or you have any other issues you might need some help from your local bike shop. Clean rear shocks are easier to work on – give yours a quick rinse with some clean water and dry it off with some kitchen roll. It doesn’t need to be spotless but, please, get the worst of the muck off. Is yours a coil shock? You can remove the spring to save some postage costs. Is yours an air shock? No need to remove the air before you post. Just sent it as it is. Pop your shock in a cardboard box surrounded with as much bubble wrap as you can squeeze in. If possible, please don’t use a jiffy bag (they’re not as good at keeping your shock safe!). Very important! Put your booking form or handwritten note with your booking number and name in the box. Seal the box up with your parcel tape and make sure it’s safe and sound. Get your shock to the post office or book with a reputable courier. Alternatively, you can drop it in to us in person if you’re at the Forest of Dean. You can drop it into Sprung Suspension Workshop (by the bike hire yard) or into Sprung Bicycle Workshop (next to the jet wash). Our opening hours are listed on the front page. Once we’ve received your shock we’ll be in touch about any work that needs to be done. We’ll cover the cost of return and let you know when to expect it back. Again, you can collect your shock when it’s done in person if that’s easier. Any questions? Contact us and we’ll help.